Dr. Gregory Lubiniecki got his medical degree from Johns Hopkins University and residency at Mayo School of Graduate Medical Education. After a few years he went to University of Pennsylvania Health System and completed his fellowship in hematology/oncology. Dr. Lubiniecki is board certified in medical oncology and hematology. 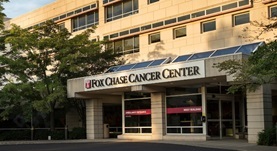 He has between 11 and 20 years of practice and is affiliated with Fox Chase Cancer Center. Dr. Gregory M. Lubiniecki has contributed to 3 publications. Thromboembolic events with estramustine phosphate-based chemotherapy in patients with hormone-refractory prostate carcinoma: results of a meta-analysis. Lubiniecki, G.M., Berlin, J.A., Weinstein, R.B., Vaughn, D.J. ; Cancer. 2004 Dec 15. Peethambaram, P. P., Cliby, W. A., Lubiniecki, G., Clayton, A. C., Roche, P. C., Iturria, S. J., Hartmann, L. C., Hellström, I., Strome, S. E.; Gynecol Oncol. 2003 Apr. A phase I and pharmacologic study of DMP 840 administered by 24-hour infusion. O'Reilly, S., Baker, S. D., Sartorius, S., Rowinsky, E. K., Finizio, M., Lubiniecki, G. M., Grochow, L. B., Gray, J. E., Pieniaszek, H. J., Donehower, R. C.; Ann Oncol. 1998 Jan.